Getting the best return on your investment is the core desire for anyone using paid advertising of any sort. You’re spending money, so you want to make as much in return as you can. Part of optimizing your ROI is knowing everything you can about how the ads system works. One crucial element of Google ads is the size of the various display ads you’re able to use. Publishers need to know this so they know how much space to assign for ads on their site. Advertisers need to know this so they know how large their images should be. Google has quite a few different ad sizes, many of which are surprisingly similar, so it’s best to get the dimensions straight from the horse’s mouth. Remember, though, that these ad formats are not for Google’s search result advertising. Those ad slots are text-only, as are several other formats for Google ads. If you want to use image ads where the dimensions matter, you need to choose that particular format of display advertising. Google divides their ad sizes into three categories. These are “top performing ad sizes”, “other supported ad sizes”, and “regional ad sizes”. Why they keep any beyond the top performers is anyone’s guess, but I suppose giving people more options allows them to test variations on ad sizing and performance. 300×250 pixels. This format is known as the Medium Rectangle in most publications and is one of the most common ad sizes Google offers. As a publisher, it’s a good option to choose because you’re always going to have something to fill in the space. Since it’s very common amongst publishers, it’s very open to advertisers, with plenty of inventory to fill. This format is available for text ads, display ads, and mobile ads. It tends to perform well when embedded within the text of articles, or when merged with a multi-column layout on a website’s feed. 336×280 pixels. This format is slightly larger than the medium rectangle format, being 36 pixels wider and 30 pixels taller. This means the aspect ratio is very slightly different, but not by enough to truly matter. This one is called the Large Rectangle in many publications and is another common ad format. Like the medium rectangle, the large rectangle is very commonly found embedded within content like an image, though obviously it stands out as an ad due to ad disclosure rules. This format is available for both text and display ads, but is not available for mobile ads. 728×90 pixels. This is the “leaderboard” ad format, but the majority of you out there probably recognize it as a typical “banner” ad. It’s very wide, not very tall, and forms a horizontal bar that is used in a wide variety of ways. You very frequently find this ad format placed above content or below it, as part of the navigation or in the footer. Sometimes you see these used in place of spacers in the middle of articles, but this can cause issues with people encountering the ad and assuming the content is concluded. Be sure to encourage further scrolling if you use this format in the middle of your content. These are available for text and display ads, but not for mobile.  300×600 pixels. This is occasionally called the Half Page ad format, though many people just think of it as “that large ad to the side of the screen.” These ads are tall and vertically oriented, which means they would fit a cell phone orientation, except they are not available on mobile. Rather, they are often used to fill in whitespace to the sides of your content, which would normally simply be a gutter for widescreen monitors to center content. Google claims this is one of the fastest growing ad sizes, and as such it is becoming increasingly available amongst both publishers and advertisers. If you want to experiment with some of the most cutting-edge ad formats, this is one to look into. As mentioned, this is not available on mobile, but works with both display and text ads. 320×100 pixels. This is known as the “large mobile banner” ad format. Unlike the other top performing ad formats, this one is available for mobile ads but not for traditional display or text advertising. It is considered a mobile alternative to the 320×50 and 300×50 ad formats, which we have not discussed yet. They are vertically quite tall compared to other mobile ad formats, offering plenty of space for mobile viewers. If you want to capture as much mobile attention as possible in content with display advertising, this is a good format to use. 320×50 pixels. This is the “mobile leaderboard” style of ads, and is only available for mobile ads, not for desktop displays. Unlike the top performing mobile ad format, this one is half the size vertically, making it very squat and very wide. They are often used the same way as banner ads for mobile browsing, used at the top of content or in the footer at the end of content. 468×60 pixels. This is the ad format Google specifically calls the “banner” ad format, not to be confused with the leaderboards. Like leaderboards, it is short but wide, but it’s not quite as wide as the leaderboards. This is to make it more accommodating to narrower website layouts that don’t have the space to plug in such a wide ad format for the leaderboards. This format is available for desktop display and text ads, but not for mobile. Additionally, Google warns that this ad format is going out of style and, as such, inventory tends to be limited. Fewer publishers are using it, fewer advertisers are paying for it, and it will eventually be deemed a legacy ad format. 234×60 pixels. Those keen with math will notice that this is exactly half as wide and exactly as tall as the banner ad format. Fittingly, it is thus labeled the Half Banner ad format. It’s designed to fit in smaller spaces than the usual banner ad, and can be a small and unobtrusive ad format. However, this means it is also prone to being overlooked, which means it tends to underperform compared to other ad formats. Ads need to be large and in charge to be successful these days; trying to slip under the radar only works if you have some inexplicably high value display ads. This format does not work for mobile, either. 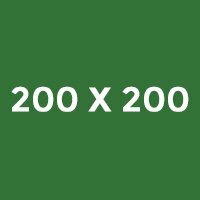 120×600 pixels. The official name for this ad format is the skyscraper ad format. It is less than half as wide as the half page format, while being just as tall. It’s essentially a banner turned on its side, which is how it got its start, more or less. As a desktop-only display ad, this one allows you to take up some gutter space on the sidebar of your website, without needing to dominate it with something as large as the half-page ad. However, this is also a less popular ad format than the half page, which leads to lower ad performance. 120×240 pixels. This is the actual “vertical banner” ad which, like the similarly sized half banner, suffers from being too small to capture a ton of attention. This kind of ad format would be ideal for small slide-in or pop-in widgets, but Google doesn’t like ads that only appear in certain dynamic circumstances, responsive design notwithstanding. The small size, the fact that it is limited to desktop-only display advertising, and the strange dimensions mean it isn’t very well suited for modern web advertising outside of specific circumstances. 160×600 pixels. This format is slightly over half as wide as the half page format, and is a little wider than the skyscraper format, serving as a sort of middle of the road between the two. The wider space than the skyscraper allows more creativity in your display ads, while still being narrower than the very dominant half page format. This tends to have a lot of inventory available, and is ideal for publishers with sidebars they want to fill with advertising. It’s available for desktop advertising, but not mobile. 300×1050 pixels. This is the “portrait” advertising format. It’s not very wide, but is extremely tall. Many modern mid-range computer monitors today are only 1080 pixels tall, so this can take up most of the vertical space, accounting for the navigation bar of a browser. These are brand-centric, which means they tend to work best when run alongside specific branded content or sponsored posts. Some sites use these as a sort of pseudo-background element in the gutter space of a centered page, making it look as though the ad content is peeking out behind the page content. Again, this is not available for mobile advertising. Currently, this is a high-demand, low-supply ad format, as few publishers are equipped to run them. You can take advantage of this for exclusive positioning and always-full advertising, if your site is configured for it. 970×90 pixels. This is occasionally called the Large Leaderboard format, and is a uniquely dynamic ad format. When a user views it for the first time, it will expand downwards, sliding the content further down to reveal the full content of the ad. The fill size of the display is 970×415 pixels. Once the user has seen the ad once, it no longer automatically expands, but can expand if the user clicks on it. This format is often used to display video, animations, and app advertising that tends to be very dynamic by its nature. 970×250 pixels. This is a billboard ad, and as such, has the same basic dimensions as a billboard you would see on the side of the highway. It’s very wide and quite tall, making it a very prominent ad. It’s best to run this at the top of your page, since it will often be cut off below the fold, and if it’s embedded in your content, users will assume it signals the end of a post unless otherwise indicated. This is another format where advertiser demand has outstripped publisher supply, putting publishers in a good position to earn. 250×250 pixels. This is a square ad format, which Google helpfully calls the Square ad format. It’s good for fitting into small spaces that aren’t wide enough for banners or leaderboards, and aren’t tall enough for skyscrapers. It’s large enough that it is not entirely ignored like the other small ad formats, and it’s quite common to be seen within text. This is also one of the more prominent formats for mobile advertising, because it’s available for both desktop and mobile ads. 200×200 pixels. This is the “small square” ad format, called such because it is a square and is smaller than the base square format. Why Google doesn’t call this the square and the other one a large square is anyone’s guess. It has all of the same benefits as the square ad, except it’s smaller, which means it is often overlooked. It is also limited in supply. It too is available for both desktop and mobile ads. 180×150 pixels. This is a small rectangle and, of course, is called the Small Rectangle ad format. It can fit into small spaces, but that’s often a detriment, as explained several times before. It doesn’t tend to perform very well and is probably well on its way to being deprecated. 125×125 pixels. This is the “button” ad format, which is basically just a small square, slightly larger than what most web forums use for avatar photos. It doesn’t perform very well and is limited to desktop advertising only, so it’s at the bottom of the list where Google can try to forget it exists. I’m not going to go over every regional ad size variation, because there are a lot of them. 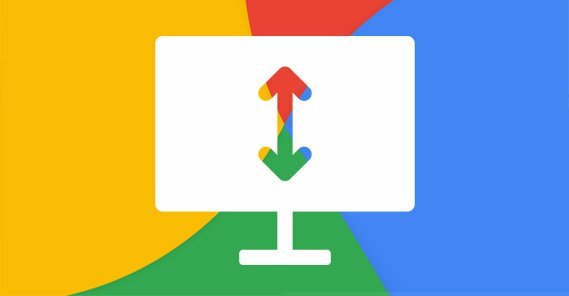 Google Ads makes certain specific ad sizes available in different countries, because different regions tend to have different preferred website layouts. For example, the most popular ad size in Russia is 240×400 pixels, called the vertical rectangle. It’s smaller than a half page, but larger than many other formats. Google also provides a few specific formats exclusively for use in Poland. Your guess is as good as mine as to why.